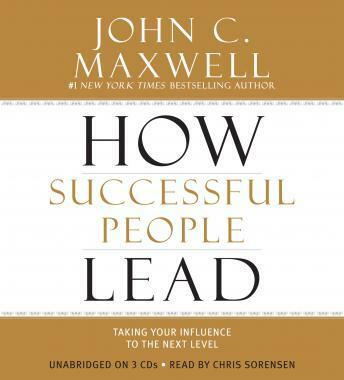 In this perfectly compact read, #1 New York Times bestselling author John C. Maxwell explains how true leadership works. It is not generated by your title. In fact, being named to a position is the lowest of the five levels every effective leader achieves. To be more than a boss people are required to follow, you must master the ability to inspire and invest in people. You need to build a team that produces not only results, but also future leaders. By combining the advice contained in these pages with skill and dedication, you can reach the pinnacle of leadership-where your influence extends beyond your immediate reach for the benefit of others. Derived from material previously published in the Wall Street Journal bestseller The 5 Levels of Leadership. Very good and inspiring book! John Maxwell knows how to lead and how to create leaders. Great information! I'll have to listen to this a couple more times and take detailed notes. It was very helpful and the narration was clear and consistent.